Beth's Super Awesome Blog: New Tattoos! HOORAY! 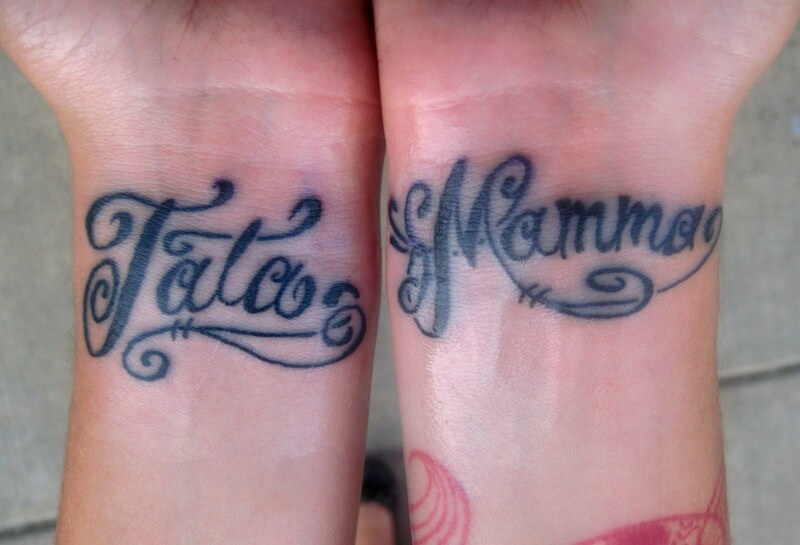 The word on the left is "Tata" (which means Daddy in Polish), and on the right is "Mamma" (which is Mommy in Italian). I had to get something to represent my awesome parents... although I guess I'm a walking representation all the time, aren't I? Haha!